Davide Ballardini had to start with an away-match against nr. 1 in the standings Juventus. Not an easy start of course after the defeats against Cagliari and Catania. In the first half Genoa played very good just as in the homematch against the Old lady. After 9 minutes in the 2nd half Juventus took the lead with a goal of Quagliarella. After the goal Ballardini substituted Manfredini, Olivera and Immobile by Rossi, Bertolacci and Borriello. The substitutions were succesfull at the moment Borriello headed the 1-1 equalizer after a perfect cross of Kucka behind Buffon in the 23rd minute. Only 5 minutes later Floro Flores had to leave the pitch because of an injury, so Genoa had to play the last 20 minutes with 10 players. Of course Juventus was all this time the attacking team, but Frey kept his goal clean. In the last minute of extra time Juventus wanted a penalty because of a handball of Granqvist, but referee Guida refused to give it to the old team of Moggi. All black and white players and staff got completely crazy which leaded to the squalification for the next weeks of: Vucinic, Chiellini, Bonucci, Conte (coach) and Marotta (tecnical director) and a penalty of 50.000 euro. Moggi times are over, forza Genoa ! After the new defeat at home against Catania by 0-2 mister Delneri is fired. 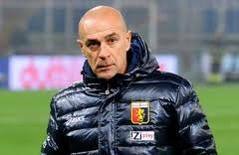 Our new coach is Davide Ballardini who already was succesfull 2 years ago in the season 2010-2011 when he substituted Gian Piero Gasperini after 10 matches and reached the 10th position in the final standings and did win 2 derbies (0-1 Rafinha and 2-1 Floro Flores and Boselli). Ballardini is already our 3rd coach this season after Malesani and Delneri. Our new coach starts next week in Juventus Stadium against the “capolista” Juventus. After the victory and good match against Bologna we all hoped the crisis was definitively over. For over an hour in Cagliari it also seemed like that, but after Cagliari made some tactical changes in the field we again lost the match. With Thomas Manfredini for the first time in the line-up the defence was good organised in the first half and just after the break Eros Pisano headed the openinggoal behind the goalkeeper of Cagliari: 0-1. Unfortunately the match changed after this goal and Cagliari scored twice: 2-1. The only big opportunity of Genoa after the goals of Cagliari came in the 93rd minute when Juraj Kucka headed the ball on the crossbar. At that moment Genoa already played 15 minutes with 10 players because Seymour made a stupide foul at midfield. Next week we play in Marassi against Catania and we have to leave again the relegationzone. This week another ex-player returned with us. After Borriello and Floro Flores now midfieldplayer Rubén Olivera signed again a contract with our club. The player from Uruguay played with us in the succesfull season 2008-2009 in which he scored 4 important goals and we reached the Europa League. Olivera returned from Fiorentina. Besides Olivera this week also Enis Nadarevic arrived of Varese (Serie B) which brings the number of our new players this month on 6. The market is still open till 31st January and probably some extra players will arrive, so there is a revolution in the team. The last rumours in the newspapers say that Andreas Granqvist stays with Genoa and doesn’t go to Dinamo Kiev unless the fact they want to pay around 7 million euro’s. In the center of the defense our Swedish rock gets a new partner with Thomas Manfredini the captain of Atalanta who signed a 3,5 years contract with Genoa. The old mate of Granqvist: Canini substitutes Manfredini in Bergamo. With Manfredini the 4th new player arrived with Genoa this month after Matuzalem, Floro Flores and Pisano (Palermo). Probably there will arrive another striker (Olivera?) and an extra defender (Neto?). Genoa starts 2013 with 2-0 victory! 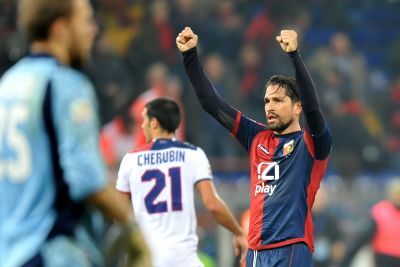 Genoa started the year 2013 with the first homevictory since the openingmatch of the season against Cagliari. The new players Pisano and Matuzalem started in the line-up and played both very good. Antonio Floro Flores only played the last 15 minutes in which he made a good impression. Because Immobile got his 4th yellow card and will be banned next week Floro Flores can substitute him. Both goals were scored by Marco Borriello in the second half. Genoa now is 17th, 1 point above the relegationzone. 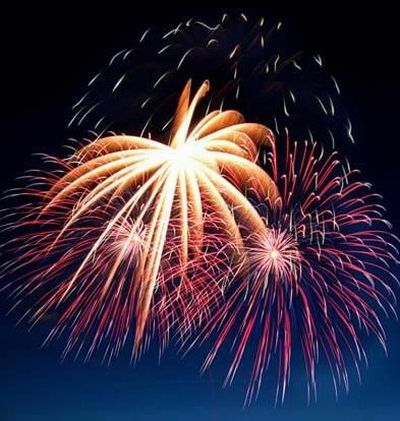 Buon Anno, Happy New Year, Fantastisch 2013!